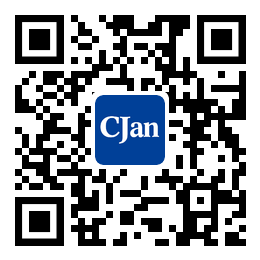 ﻿ How to Choose Stainless Steel Fittings Correctly - CJan Fluid Technology Co., Ltd.
A fitting is determined from the type and temperature of the fluid. The type and temperature of the fluid have a great influence on the quality of the joints, so it should be suitable for local conditions when choosing. If the stainless steel quick fitting is air, we can choose steel connector, If the stainless steel quick fitting is water, we can choose brass or stainless steel fitting. We can select the appropriate fittings according to the pressure of the liquid. The pressure of the fluid is also the key to choose the stainless steel fittings. The pressure tolerance of the different structures is different. Humidity, dust and corrosion of different conditions have a great influence on the use effect of fittings. Before being used, we should combine the type of stainless steel quick fitting, the body material, the sealing material and so on, and choose suitable conditions. According to the size of the fluid to determine the type of fitting, and it should also be equipped with the corresponding shape and size of the pipe. We should not exceed the maximum pressure limit, and the temperature, humidity, corrosion degree should be controlled in the range. The stainless steel fittings can not be deliberately damaged, if you have a problem of the fitting, you should find someone to fix it.